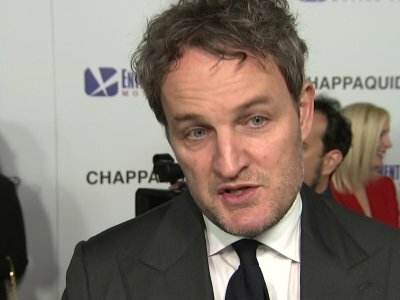 In "Chappaquiddick," the new bio-pic by director John Curran ("Praise," "The Painted Veil," "Stone"), I did not really see Jason Clarke ("Lawless," "The Chicago Code," "Dawn of the Planet of the Apes") as Ted Kennedy. I have been a fan of Clarke, especially since his role as George Wilson in "The Great Gatsby," and have been waiting for him to get a starring role that he could sink his teeth into. His portrayal of Ted Kennedy may not be it, but it was close. The producer of "Chappaquiddick" took an unusual approach in making the film by deliberately avoiding conspiratorial excess and partisan fury. "It's a piece of history. You can't worry about the politics," said producer Mark Ciardi. "We just present the facts as we know them. It's supposed to make you think and feel conflicted." He expressed confidence that audiences won't view the film as a hit job on Democrats in general or the Kennedys in particular.